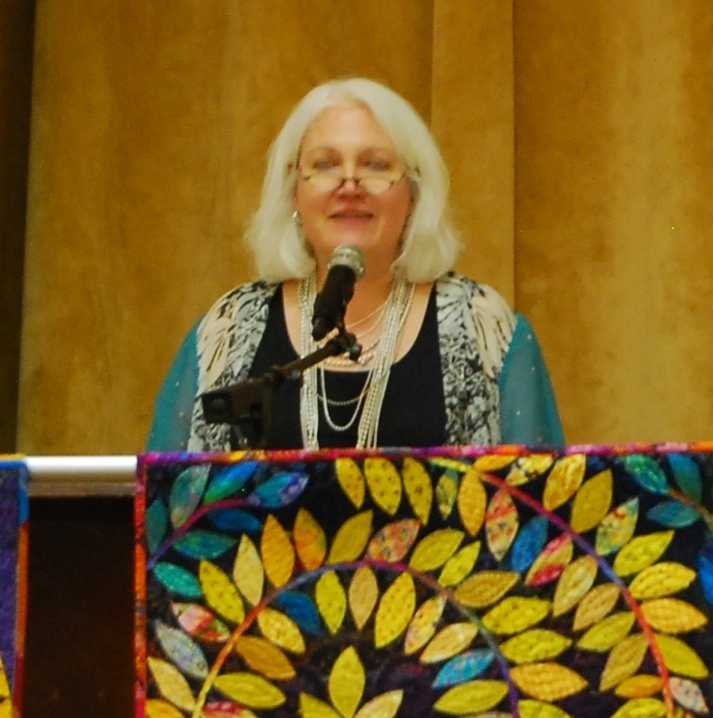 I had the pleasure to sit through a chat with Karen Stone when she visited my (and her) guild meeting this month. 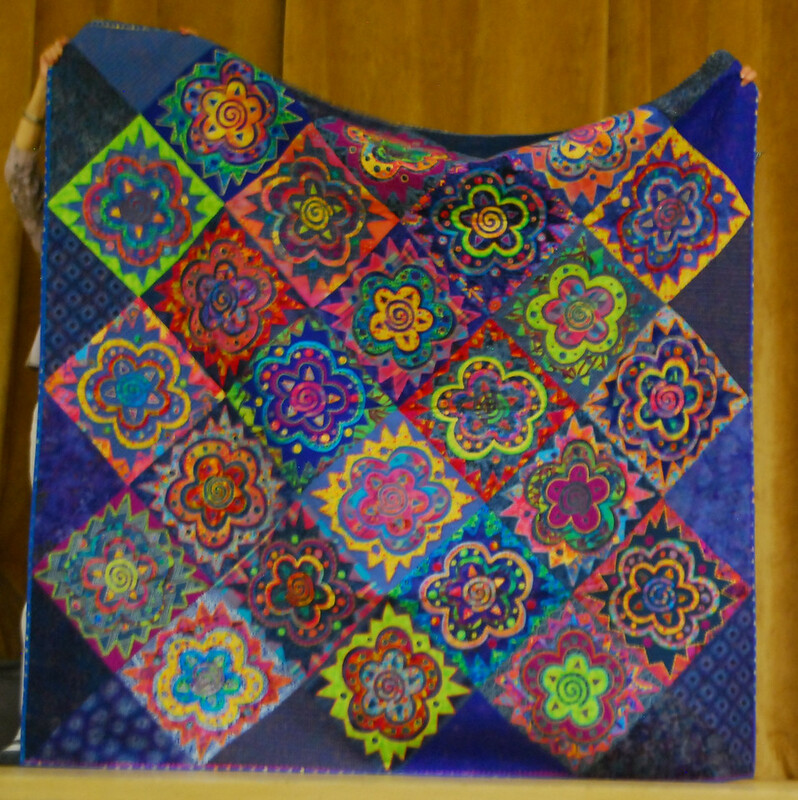 I took a class with Karen about 11 years ago when I had just started quilting and Karen was at the Vermont Quilt Festival teaching her NY Beauty pattern. I loved her color theory and I quickly figured out that I like taking classes that have more to offer than just a pattern. Since Karen is local to Texas (although not so much local to Dallas), she brought 3 suitcases full of her quilts. Unfortunately the hall where we have our meetings has terrible lighting and most of my pictures ended up blurred (shutter stayed open too long). 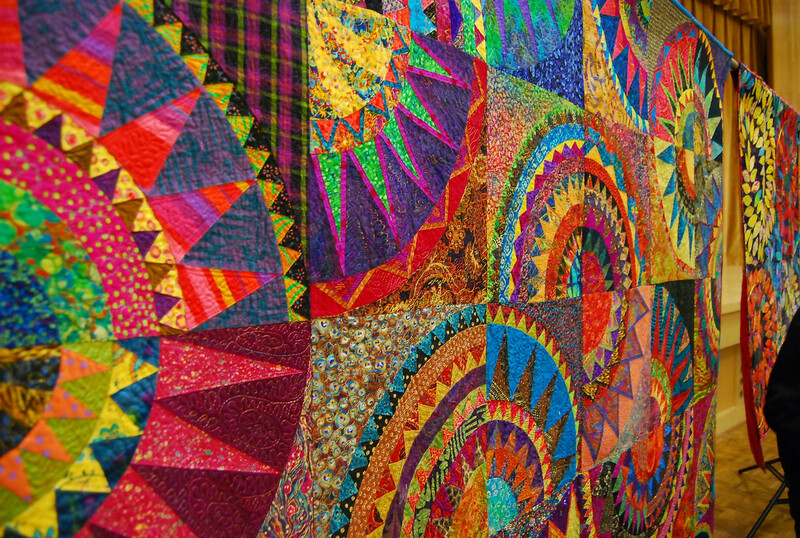 You can still get a glimpse of the beauty of the quilts from the blurry pics. I fell in love with this one in particular. 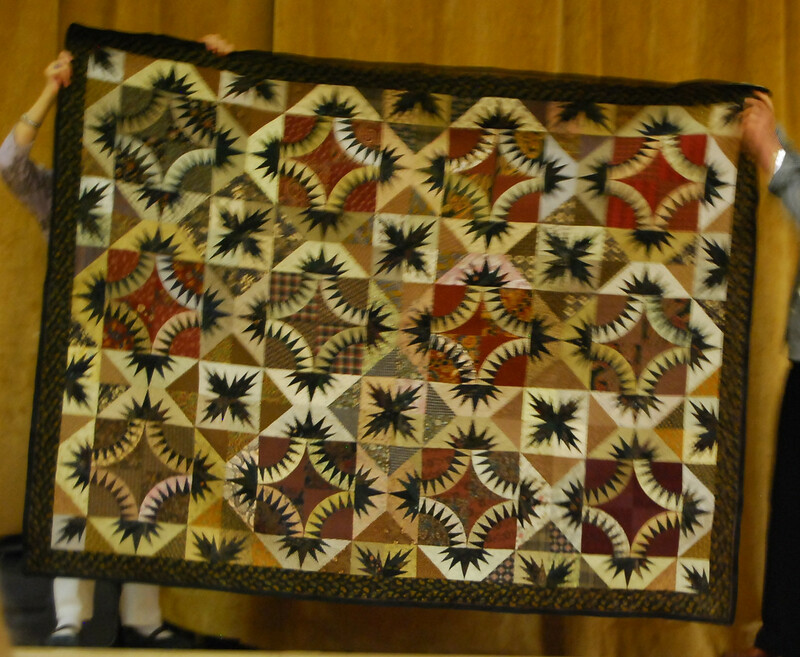 It's called McComma's Beauty and Karen made it with civil war repro fabrics. It has a very masculine look because it was for her father. It is really quite gorgeous. 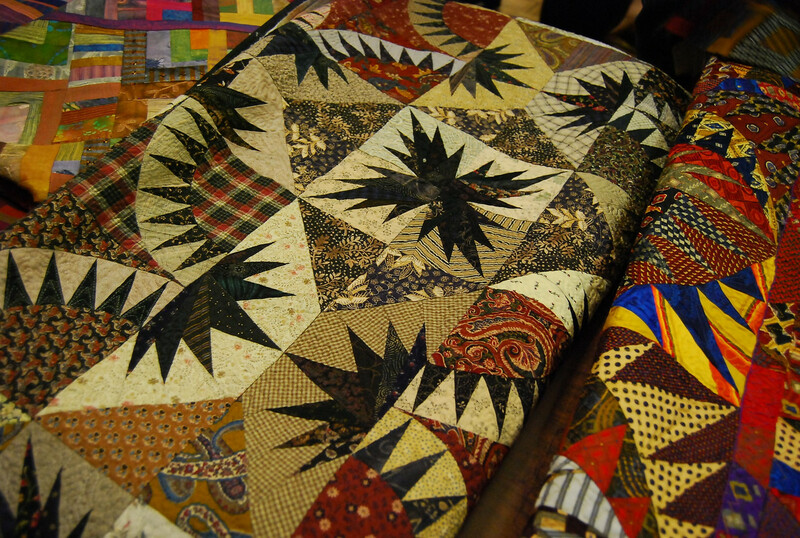 It will need to go on my list of quilts to make in 2011 because I am done modifiying my 2010 list!! 0 comments on "Meeting Karen Stone Again"
April is here with the promise of new beginings.